Ground-shaking grooves, hammering rhythms and wailing melodies, layered with explosive noholds- barred improvisations: GORILLA MASK is a type of sonic madness roaring with a restless, implacable energy that totters dangerously on the verge of total chaos. They craft spirals of sound in 4 or 5 dimensions, jabbing you in the ribs as they mess with your brain – the ebb and flow of an actuely aware trio of musicians who know what they want and know how to get it. Canadian ex-pat Peter Van Huffel is a saxophonist out of Coltrane, Ayler and Zorn, but he frames his improvisational forays in the context of a trio with hard rock dynamics, riding the churn of Roland Fidezius’ frenetic bass and Rudi Fischerlehner’s pulsating drum kit like a surfer on the biggest wave he’s ever seen. 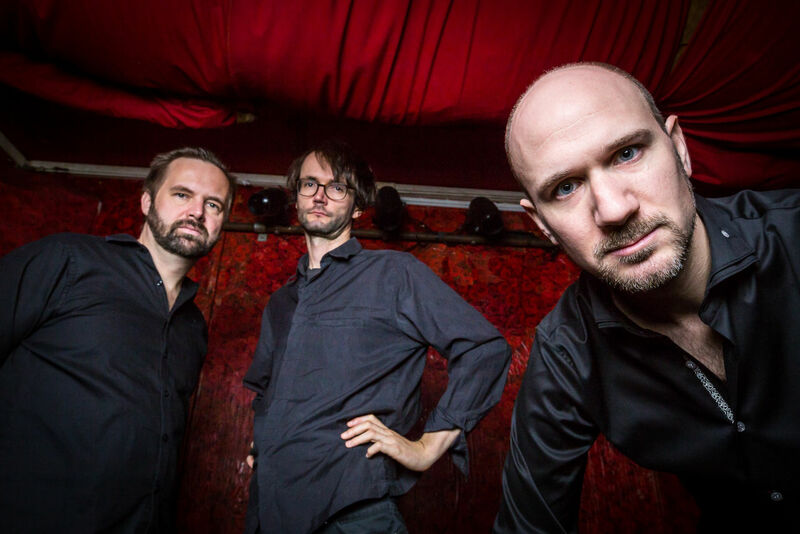 GORILLA MASK is the product of a constantly active, hyper-intelligent hive-mind of three virtuosos; their music a mishmash of punk, rock and metal influences rooted in jazz, free-improvisation and the modern avant-garde. A collision of styles which form the key to the band’s identity. This is bold, audacious 21st Century music writ huge, with innumerable influences and tendencies, gritty and urban, intellectual and ready to run a marathon.